Satisfy your inner culture vulture at Sea Fortress Suomenlinna and Rock Church. 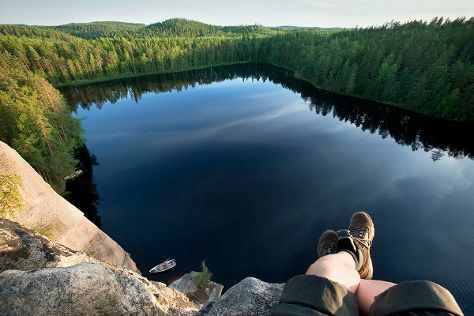 Visiting Nuuksio National Park and Pornaistenniemi Nature Trail will get you outdoors. Step out of Helsinki to go to Vantaa and see Sipoonkorven Kansallispuisto, which is approximately 30 minutes away. There's lots more to do: take in the architecture and atmosphere at Helsinki Cathedral, contemplate in the serene atmosphere at Uspenskin Cathedral (Uspenskin Katedraali), get engrossed in the history at Seurasaari Island and Open-Air Museum, and get to know the fascinating history of The Esplanadi Park. To see ratings, more things to do, maps, and more tourist information, read Helsinki online visit planner . Luxembourg City, Luxembourg to Helsinki is an approximately 7.5-hour flight. You can also do a combination of bus, train, and flight; or drive. The time zone difference moving from Central European Time (CET) to Eastern European Time (EET) is 1 hour. Expect a bit cooler temperatures when traveling from Luxembourg City in September; daily highs in Helsinki reach 19°C and lows reach 8°C. Finish your sightseeing early on the 18th (Wed) to allow enough time to take a train to Kouvola. Kouvola is a town and municipality in southeastern Finland. Kick off your visit on the 19th (Thu): explore the wealth of natural beauty at Repovesi National Park. Keep things going the next day: delve into the lush surroundings at Niivermaki Nature Conservation Area, then look for all kinds of wild species at Arboretum Mustila, and then identify plant and animal life at Riverside Park. To find other places to visit, more things to do, ratings, and tourist information, read our Kouvola trip planning app . Getting from Helsinki to Kouvola by train takes about 1.5 hours. Other options: drive; or take a bus. In September, daily temperatures in Kouvola can reach 17°C, while at night they dip to 9°C. Finish up your sightseeing early on the 20th (Fri) so you can travel to Koli National Park. Step out of the city life by going to Paha-Koli Hill and Akka-Koli Hill. Spend the 22nd (Sun) exploring nature at Patvinsuon Kansallispuisto. To find photos, other places to visit, reviews, and other tourist information, you can read our Koli National Park trip maker app . Traveling by car from Kouvola to Koli National Park takes 5 hours. In September, plan for daily highs up to 15°C, and evening lows to 7°C. Finish your sightseeing early on the 23rd (Mon) to allow enough time to travel to Vaasa. On the 24th (Tue), head off the coast to Kvarken Archipelago World Heritage Site. To see ratings, where to stay, maps, and more tourist information, go to the Vaasa journey planning website . 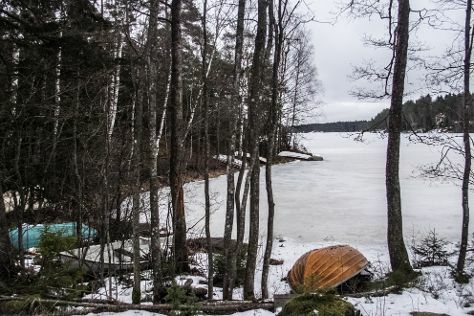 You can drive from Koli National Park to Vaasa in 6 hours. Alternatively, you can fly. In September, daytime highs in Vaasa are 17°C, while nighttime lows are 7°C. Wrap up your sightseeing on the 24th (Tue) early enough to travel to Kimito Island. Kick off your visit on the 25th (Wed): enjoy the sea views from Archipelago National Park. Get ready for a full day of sightseeing on the 26th (Thu): admire the masterpieces at Soderlangvik and then look for all kinds of wild species at Oro. To find maps, where to stay, ratings, and other tourist information, use the Kimito Island trip itinerary website . Use the Route module to find suitable travel options from Vaasa to Kimito Island. Expect a daytime high around 19°C in September, and nighttime lows around 7°C. Wrap up your sightseeing on the 26th (Thu) to allow time to travel to Raseborg. Raseborg is a town and municipality of Finland. 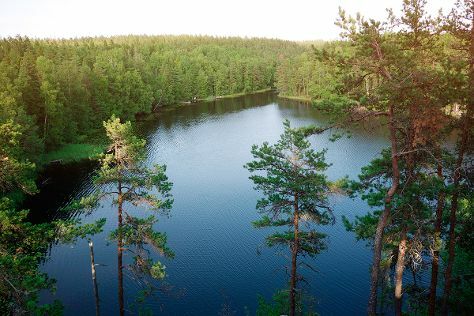 Start off your visit on the 27th (Fri): explore the striking landscape of Teijo national park. Get ready for a full day of sightseeing on the 28th (Sat): explore the striking landscape of Ekenas Archipelago National Park. To find photos, more things to do, other places to visit, and more tourist information, use the Raseborg trip itinerary planning app . Traveling by car from Kimito Island to Raseborg takes an hour. 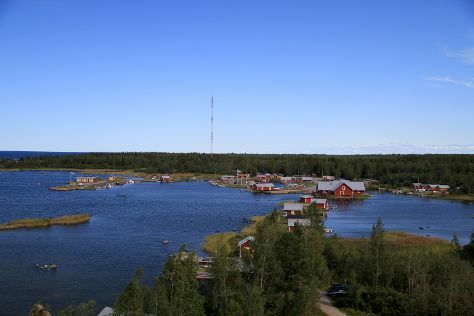 In September, daily temperatures in Raseborg can reach 18°C, while at night they dip to 7°C. Wrap up your sightseeing on the 28th (Sat) to allow time to travel back home. Start off your visit on the 29th (Sun): pause for some serene contemplation at Rovaniemi Church, then take an in-depth tour of Arktikum, then see Santa Claus Office, and finally take an exotic tour of a safari tour. Here are some ideas for day two: explore the striking landscape of Pyha-Luosto National Park. Make your Rovaniemi itinerary with Inspirock to find out what to see and where to go. Use the Route module to find suitable travel options from Raseborg to Rovaniemi. When traveling from Raseborg in September, plan for slightly colder days in Rovaniemi, with highs around 13°C, while nights are about the same with lows around 6°C. Wrap up your sightseeing by early afternoon on the 1st (Tue) to allow enough time to travel back home.